San Diego Sheriff’s Department cruiser. Photo by Chris Stone. 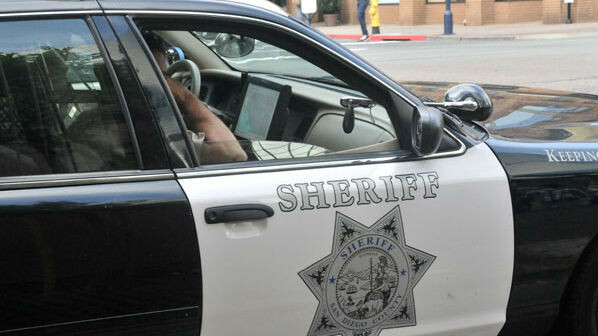 A San Diego County sheriff’s deputy who allegedly scammed insurers out of tens of thousands of dollars via bogus workers’ compensation claims pleaded not guilty Wednesday to multiple felony charges, including insurance fraud and filing a false claim. Matthew Tobolsky — a six-year department veteran — faces up to 15 years in prison if convicted. After claiming a back injury from lifting five-gallon water bottles nine months ago, Tobolsky allegedly misrepresented his physical condition and abilities repeatedly, working out with heavy weights at a gym while telling physicians he was suffering from debilitating pain and unable to perform even light duty, according to prosecutors. Tobolsky’s alleged crimes resulted in $57,000 worth of losses, $46,000 of which was paid directly to him, officials said. Such fraud costs California taxpayers an estimated $4 billion annually, according to District Attorney Summer Stephan. Sheriff Bill Gore said the case against Tobolsky shows that no one is above the law and that employees will be held accountable if they violate the public’s trust. The defendant, whose most recent assignment with the sheriff’s department was an administrative position at the agency’s Kearny Mesa headquarters, has been placed on unpaid leave pending resolution of the fraud case. Tobolsky, 40, will be back in court Dec. 4 for a readiness conference and Jan. 11 for a preliminary hearing.